The terrible call saves us lol. I wish they would have given them the first. If we win this game I don't want anyone to say it was because of this call. ill take the win with 100 calls in our favor. That did save us. Dodged a mega bullet. Our offense is absolute on point today! I'm still in shock with how well we're moving the ball. Say what you will about that botched call, but our D capitalized on the stop rather than the Rams capitalizing on the turnover in the red zone. Yep. It was a bad call no doubt, but they were running a fake with a punter, we had to get them to that point in the first place. 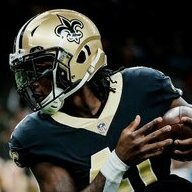 Our front seven deserves a mountain of credit at this point! And at this point, I say f*ck 'em! Oh mah god... the lord sees us and answers our prayers! This first half had been special. We need at least a FG here. Oh my God! This is awesome! We NEEEEED a new secondaries coach(s)! 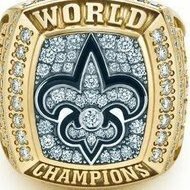 Turn on TV to see a 35-17 Saints lead at the half.